Technically this book is not yet in my bag, but I got all excited about this so I have to talk about it. 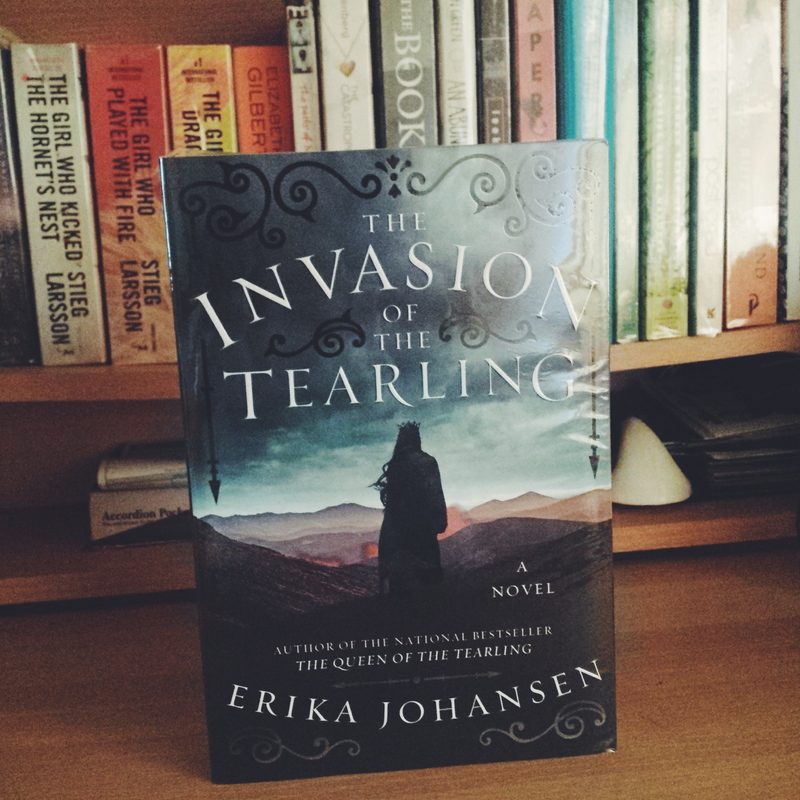 Last night I finally got my copy of The Invasion of the Tearling by Erika Johansen. It went on sale in the US last June 9, 2015. I bought my copy from Fully Booked, I actually reserved it a month before I found out its release date. My friend recommended The Queen of the Tearling (Thanks Sarah! 🙂 ) and I couldn’t believe that I’ll be this hooked to the series, so I decided to reserve another copy for her. So imagine the levels of our excitement when I got the message that our copies have just arrived. But since I’m currently in the middle of reading Magonia (and another book in a romance series, I’ll write about that soon) which is equally fascinating and addicting, I will have to put my will power to the test and postpone reading The Invasion of the Tearling. Because I want to be able to devour it in one sitting, with no pauses and nothing to distract me like life or work. I hope to finish it this weekend in time for me to gab blog about it.